Attracting new talent to almost every industry is a difficult and never-ending task. InfoComm International is taking proactive measures to address this need by reaching out to those with the most potential—young people with interest in science, engineering, technology, and math (STEM)—to ensure the audiovisual industry is always full of the brightest minds possible. For the second time, InfoComm will serve as a sponsor and exhibitor at the biennial USA Science and Engineering Festival, which will be held from April 16–17, 2016 at the Walter E. Washington Convention Center in Washington, DC. This year’s event is expected to attract some 350,000 attendees, mostly aged 7 to 18. The organization is also the chief sponsor of the Nifty Fifty, a program run by the festival that brings eminent members of the STEM community to speak at middle and high schools. “We really want to make it a hands-on experience for the students,” said Betsy Jaffe, senior vice president, member services at InfoComm International. The booth, she said, will feature an interactive audio component, with good-better-best comparisons of headphones from a specific manufacturer, and a sound wave guessing game designed to give them an idea of what sound waves look like and how they work. There will also be an interactive display featuring different audiovisual technologies, such as virtual reality and drone footage. “We’re giving away prizes because it has to be fun—but we’re also going to be meeting with a lot of area school systems and colleges and universities and talking with them about AV careers,” Jaffe said. Some of the prizes for schools include free curriculum and lesson plans formulated by instructional designers who understand schools’ core curriculums, so that they can introduce AV into lesson plans. Apart from the convention, InfoComm is continuing its outreach to schools and other educational organizations to promote young people to pursue careers in AV. 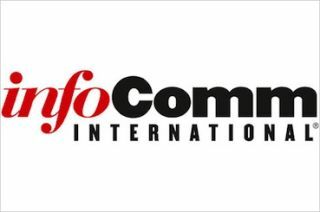 The International Communities Industry Foundation (ICIF) carries out charitable, educational, and scientific activities for InfoComm International, including the awarding of grants and scholarships to interested students. Jaffe said that the audiovisual industry is particularly compelling for school leaders, since it offers avenues that just about any individual can pursue. “When we meet with the school officials, they’re usually very impressed behind the idea of AV careers because it’s a career that’s for people who are both college bound and not college bound,” Jaffe said. “And we always have people interested in certifications because they want to make sure that their graduates can get a job when they’re done.